… your Cowtown Butchers hold their final bout of the season. And it’s against the Benton County Derby Demons. Why on earth would you miss this? Tickets are only $10 per adult and $5 per child. 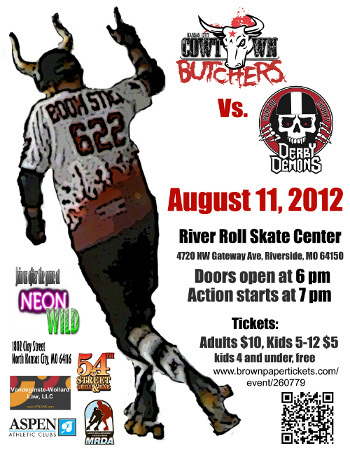 Don’t miss your last chance to see the Butchers in some of the hardest-hitting men’s roller derby action in the Midwest. We’ll see you Saturday night at River Roll!